Working closely with the clients (a development company), the architect (BHP Harwood) and representatives from the local area, planning permission was achieved for the replacement of a vacant Public House within the City of Gloucester with 40 dwellings. This comprised a mix of flats and houses, with the proposal being up to four storeys high and of a modern design. The Olivers Estate comprises a 80 acre country estate in Gloucestershire, with a Grade II Listed house with its associated outbuildings. Initially as a result of enforcement action by Stroud District Council (SDC), retrospective applications were submitted for: 1) stabling for 11 horses, a horse-walker and an indoor manege, and 2) the use of part of an existing outbuilding as a recording studio were approved. Subsequently, an application for groom’s accommodation was approved at appeal. At Broadview, Chalford (within a Conservation Area) planning permission was obtained for the renovation and extension of a very outdated cottage. In addition, planning permission was obtained for a new detached 4 bedroom dwelling with double garage in the grounds. Tockshill Cottage, Chalford was a small bungalow (again within a Conservation Area) where two thirds of the built form was an asbestos extension. Planning permission was sought for the replacement of the asbestos section, with a new extension on the same footprint but taking account of the roof space to provide additional accommodation at first floor. Following a successful appeal, and a further planning application, planning permission was obtained for a four bedroom detached dwelling, again with double garage. The site is the home of a successful National Hunt racehorse trainer, and is an impressive Grade II listed building with its historic associated farmyard. For a number of years they had sought to provide groom’s accommodation on the site and accommodation for visiting owners, in addition to the owner’s own dwelling. 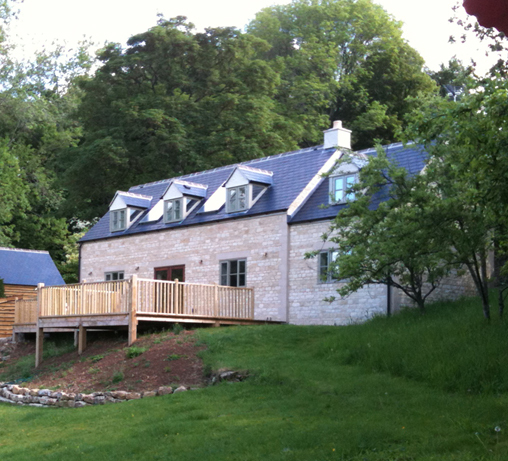 Following extensive pre-application discussions with Planners and a Conservation Officer at Stroud District Council, all the Council’s objections were overcome and planning permission was granted for an equestrian workers dwelling, and a barn conversion to a holiday let, both to serve the enterprise. occupiers and increasing the yields that could be obtained. Stroud Carpets had recently applied for planning permission for a retail use in an existing Storage/Distribution site (Class B8 of the Use Classes Order) which they had withdrawn due to extensive objections from Gloucestershire County Council Highway Department. Initially a planning application was submitted for bulky goods retail, but following a negative response a Certificate of Lawful Development for a Proposed Use or Development was submitted for a B8 with trade sales use. This was approved by Stroud District Council (SDC) and the business has subsequently been successfully operating from the site. Following extensive discussion with Officers at Forest of Dean District Council, a planning application and listed building consent were submitted, and approved, for the conversion of a Grade II listed building for a shop (Class A1 of the Use Classes Order) to Financial/Professional services (Class A2 of the Use Classes Order) at ground floor level with 3 self contained flats above. Planning permission had been obtained for a pair of semi-detached dwellings on a site in Berrells Road, Tetbury. Subsequently, an application had been submitted to separate the two dwellings, which was refused by Councillors at Cotswold District Council – contrary to the recommendation of their officers. This decision was appealed and the appeal and an associated claim of costs for ‘unreasonable behaviour’ were both successful. South Littleton Stores (a small retail unit serving a village within Wychavon District) wished to extend the existing retail floor-space in order to provide a greater range of products. Initially the Architect submitted an application which was refused on highway grounds. Subsequently, following an assessment of the planning background for the site, a revised application was submitted and correspondence had with local Councillors, such that the application was approved. In addition, it was discovered that a new building had been erected without any planning permission. As the works were done in excess of four years beforehand a Certificate of Lawfulness for an Existing Use or Development was submitted and regularised the situation. This involved a tied residential property in Berkeley which had not been occupied for around 25 years, and had fallen into a state of disrepair (internal floors had collapsed and some roof tiles/guttering missing). A planning application to refurbish and extend it was refused by Stroud District Council (SDC) largely due to their assessment that due to the condition of the building the residential use of the site had been ‘abandoned’. This decision was upheld at appeal, effectively leaving a standing pile of bricks with a roof. Two applications for a Certificate of Lawfulness of Existing Use or Development were submitted, based on the fact that no development was required to fully reinstate the use and all the works were tantamount to a repair. These were refused by Stroud District Council (SDC) but at appeal the Planning Inspector (in charge of the Public Inquiry) accepted that the residential use had not been abandoned. Subsequently, a planning application along the lines of the initial application to refurbish/extend was submitted and approved. The redevelopment of the Jet & Whittle Public House was a complex scheme in that it was more of an urban regeneration project than a traditional housing scheme, yet Andy took it all in his stride, negotiating with officers at the local authority, as well as arranging meetings with all of the various local stakeholders who had an interest in what will happen to the site. The result was a resounding ‘yes’ at committee within 3 months of submission, at a density more akin to a city centre development rather than one in the corner of a suburban estate. Andy is a young man with a great future in this industry. Andy Case was originally recommended to us because of his Development Control experience and existing relationships with the Council. We found him to be personable and easy to deal with. He was very thorough in all his dealings, and we always felt comfortable that whilst he was clear with us about the potential pitfalls we might meet along the way, he was ‘on our side’ and clearly a sensitive and effective negotiator. He told us exactly how he saw our situation, advised and implemented an appropriate strategy and, ultimately, we achieved all our requirements in line with the work he carried out. Andy has complete understanding of the planning system in Stroud. He is methodical with attention to detail. He is a very nice person to work with and achieved planning for me where many others had failed. I would not hesitate in recommending his services to a prospective client. Andy worked with me on my developments at Broadview and Tockshill Cottage and on both projects his input was invaluable. At Broadview his knowledge of the methods of the Conservation Department of the local Council saved my Company from potential disaster. At Tockshill Cottage, Andy handled the appeal after my planning was refused by the District Council. The appeal was successful, prompting one of the objectors to grudgingly concede - “ He's very good, that chap of yours”. He is very good. His knowledge of Planning Law is second to none, he is highly organised in his thinking and arguments and terrier-like in his attitude to getting answers from recalcitrant planning departments. He is also always happy to give advice for free. I have recommended his services to several people, and they have all thanked me for the recommendation. I shall continue to do this, and to use him in my future developments.